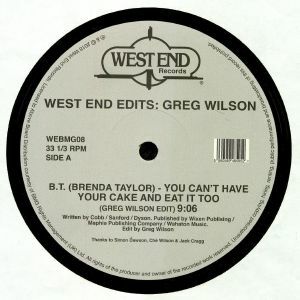 West End's double-pack re-edit series continues, with long-standing UK electrofunk hero and scalpel rework specialist Greg Wilson sharing a quartet of revisions. 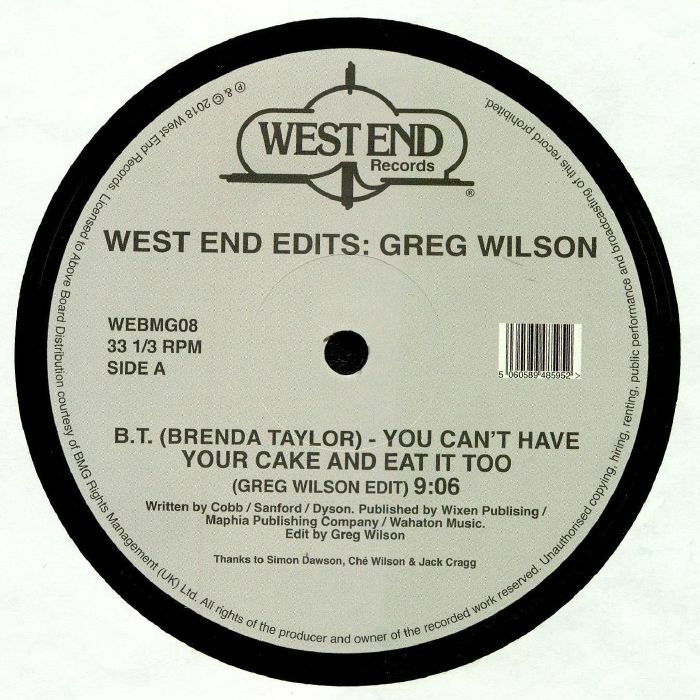 There are airings for two of Wilson's most sought-after scalpel works from the "Credit To The Edit" series - superb versions of Brenda Taylor's "You Can't Have Your Cake and Eat It Too" and Raw Silk's "Do It To The Music" - as well as a couple of previously heard rearrangements that are on-point as per usual. Wilson first adds even more mind-altering delays and low-slung dub disco flavour to Forrrce's "Keep On Dubbin'", before superbly stretching out the mostly instrumental "Melt Down Mix" of Shirley Lites' synth-laden peak-time classic "Heat You Up".